Are The New 2018 American Gold Eagle Coins Worth Buying? Have you seen the advertisements offering new 2018 American Gold Eagle coins? They're already popping up, and it begs the question: is now a good time to buy gold coins? Should you buy 2018 American Gold Eagles? It's all a matter of what your investment strategy is. Of course, 2018 gold coins are popular as gifts, and there's always that crop of investors who want examples of gold coins with the newest possible date on them. But are 2018 gold eagles any better than older American Gold Eagles? Since 1986, when the first American Gold Eagle bullion coins were officially released to the public, the specifications of this investment coinage has remained essentially the same; they contain a composition of 91.67% gold, 3% silver, and 5.33% copper. No, they're not .999- or .9999-fine gold like many other gold bullion coins around these days, but they don't need to be. American Gold Eagles are selling perfectly well as they are and have long ranked among the world's most popular bullion coins. Why mess up a good thing? As the metallic composition of the American Gold Eagle hasn't changed in more than three decades, buying a 1986 American Gold Eagle – made during the first official year of issue – is essentially no better or worse for the bullion investor than purchasing a 2018 American Gold Eagle. But that doesn't mean there aren't advantages to buying one or another under different considerations. One of the most important considerations in buying gold coins other than their metallic composition is the actual size, or weight, of pure metal in the gold coin. American Gold Eagles are currently available in four different sizes. These include one-tenth ounce, one-quarter ounce, one-half ounce, and one-ounce sizes. Certainly, it's cheaper out of pocket to buy a one-tenth ounce gold eagle than one containing a full ounce of gold. But by the time price-over-spot is factored in, it's actually a little cheaper for the investor in terms of value for the money to buy the one-ounce coin. Unless you're paying exactly spot value – a deal that even many wholesale dealers can only dream of – then it's simply going to cost you more than precisely one-tenth of the spot price of the one-ounce gold coin to buy a tenth-ounce gold coin. That's just the way the bullion market works. 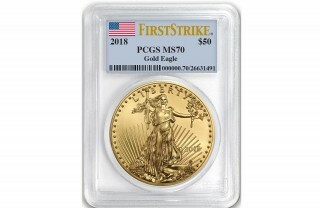 When it comes to the 2018 American Gold Eagles, the price-over-spot spread between the market value of a one-tenth ounce American Gold Eagle and a one-ounce eagle is often a little smaller than the differential between the various fractional sizes of older American Gold Eagles – especially the scarcer pieces. And that brings us to the issue of rarity. Yes, rarity – you see, American Gold Eagles aren't just about precious metal content. These coins are about as popular with collectors as they are with investors. Some American Gold Eagle coins are rarer than others. And as long as the United States Mint is striking 2018 American Gold Eagles on demand, the 2018 gold eagles will be less expensive to buy than older gold eagles – even (a little cheaper than) the 2017 American Gold Eagles. 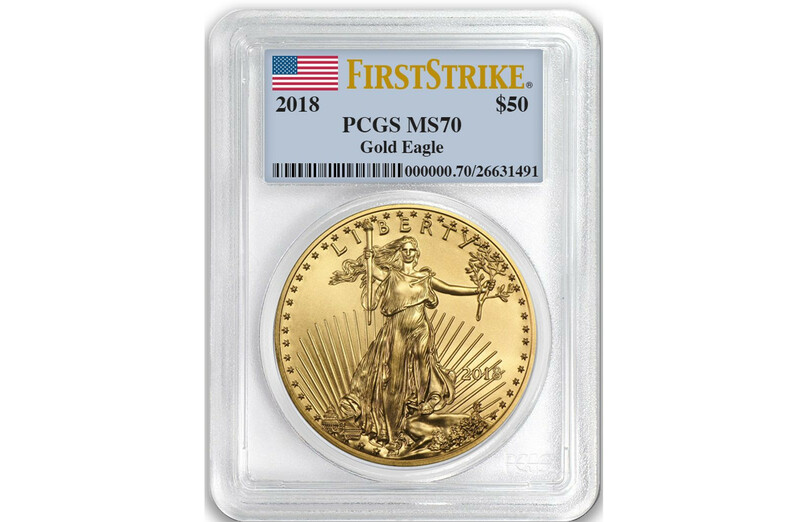 So should you buy 2018 American Gold Eagles? If you're looking to buy scarcer American Gold Eagles than you might want to stick with searching for the best deals among the older dates. But if all you're doing is stacking gold coins regardless of their date, then yes – it probably makes more financial sense to buy the newest gold eagles because they're generally a little less expensive than the older dates.